New York is home to dozens of distinct neighborhoods with their own names, identities, and histories. Some of these neighborhoods acquired their names by misfortune (Hell’s Kitchen gained its moniker due to its tough reputation), others by function (the Battery was once home to a series of artillery batteries), and some were coined by local artists playing with abbreviated combinations (SoHo is likely the most well-known example). 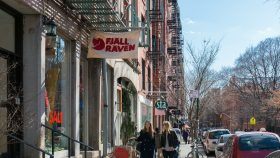 However, at least some New York City neighborhoods, including the East Village and NoLita, were created by real estate agents in an attempt to “rebrand” areas that historically had a reputation for being either undesirable or simply boring places to live. Increasingly, this now well-established practice is coming under attack and if one local state senator is successful, the practice may even soon be illegal. 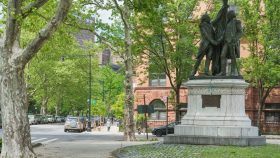 As real estate developers and brokers continue rebranding neighborhoods with new nicknames, some community members fear this gentrifies and strips the history away from their nabes. Like NoLo (SoHo + Nolita + Lower East Side) and DoBro (Downtown Brooklyn) before it, SoHa, the new branding moniker for South Harlem, has been met with resistance from residents. According to Crain’s, newly elected state Senator Brian Benjamin, a native of Harlem, talked with so many residents that opposed the term SoHa, he has introduced a bill banning people, specifically brokers, from using the nickname as a marketing tool.